As a member of the SBA Tech Coalition, Expensify is committed to empowering small business owners with the best Cloud accounting software for managing receipts and expenses. Expensify’s SmartScan technology makes recording expense a snap. Take a picture of your receipt from the Expensify mobile app and we handle the rest. 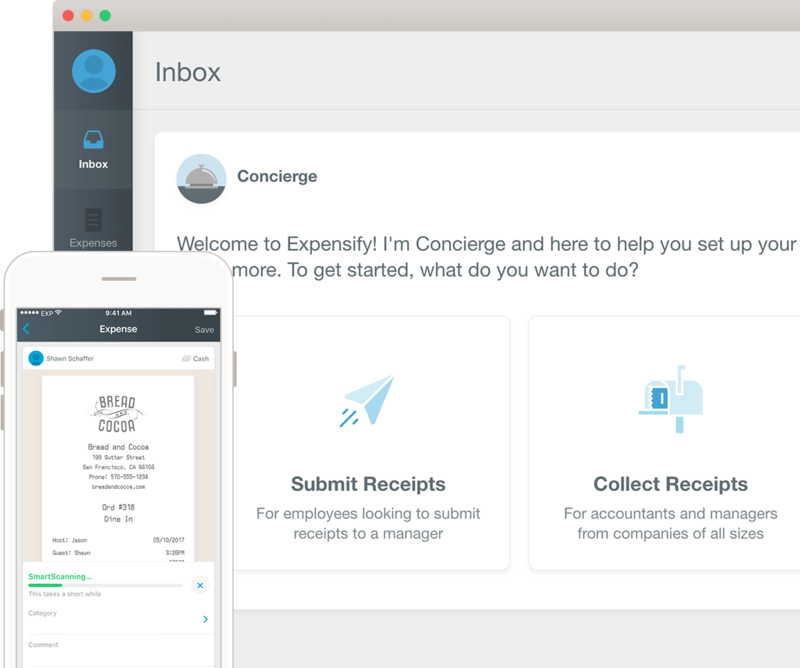 Expensify integrates with the accounting, ERP, and travel software that powers your business. Connect Expensify to QuickBooks, Xero and many other systems in minutes so your data is always updated in realtime. While the spreadsheet was an incremental improvement in expense reporting, we need to think much bigger. We need to think about how to transform it by leveraging existing technology. Learn how your company can save time and money by transitioning into the mobile age with Expensify. SBA's participation in this cosponsored activity is not an endorsement of the views, opinions, products or services of any cosponsor or other person or entity. All SBA programs and services are extended to the public on a nondiscriminatory basis. Cosponsorship Authorization #16-3010-67 & #16-3010-99.